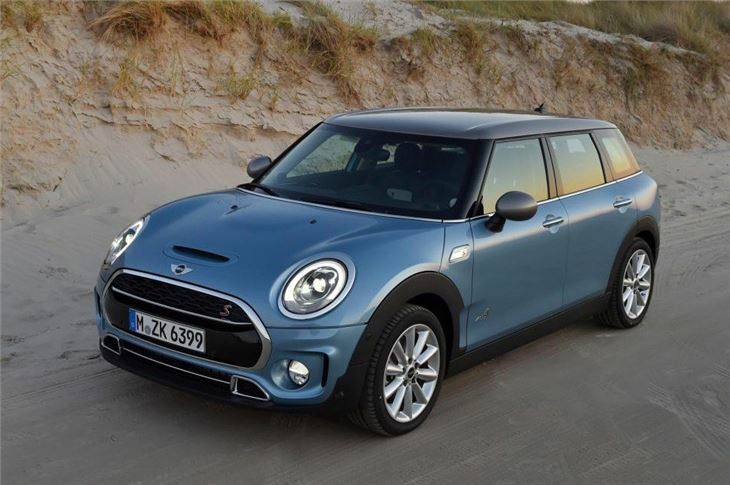 On paper the MINI Clubman All4 is as niche a car as you can imagine. 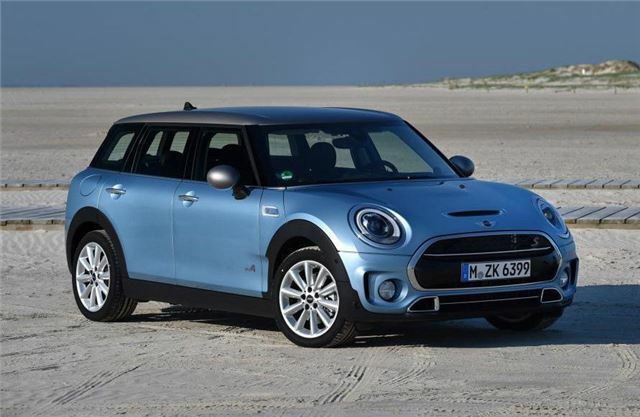 It’s longer than a Volkswagen Golf, has six doors, four-wheel drive and it’s a MINI. That’s one way of looking at it. The other way is that it’s basically a family hatchback full of personality and one well equipped to deal with the winter months. 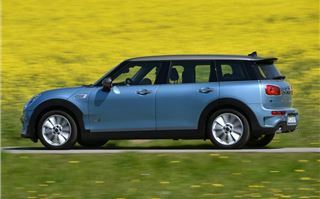 You might be appalled by a MINI this massive (at 4.3 metres long it’s bigger even than the MINI Countryman), but put aside any historically motivated indignation and in the Clubman you’ll find a spacious, fun family car that’s more entertaining to drive than most. 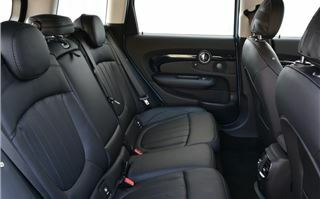 It also has ample rear seat and boot space, plus a cabin whose mix of quality and quirk really set it apart. 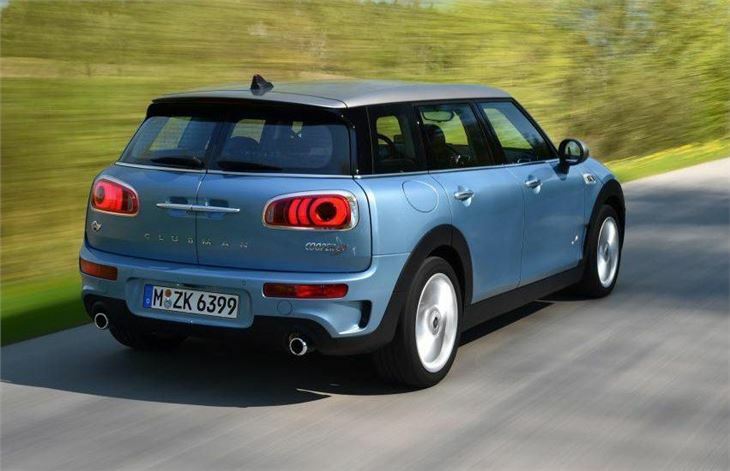 MINI has wisely ditched the baffling and useless asymmetrical door arrangement of the last Clubman, giving this one a proper pair of rear doors. 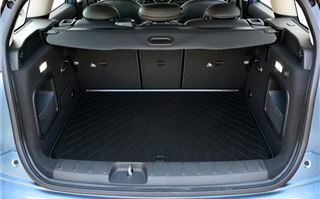 Behind those, the boot gets another pair of doors, which despite being a gimmick of no practical advantage, conceal a boot of 360 litres that tops out at 1250 litres. For reference, the Vauxhall Astra packs 370 to 1210 litres. 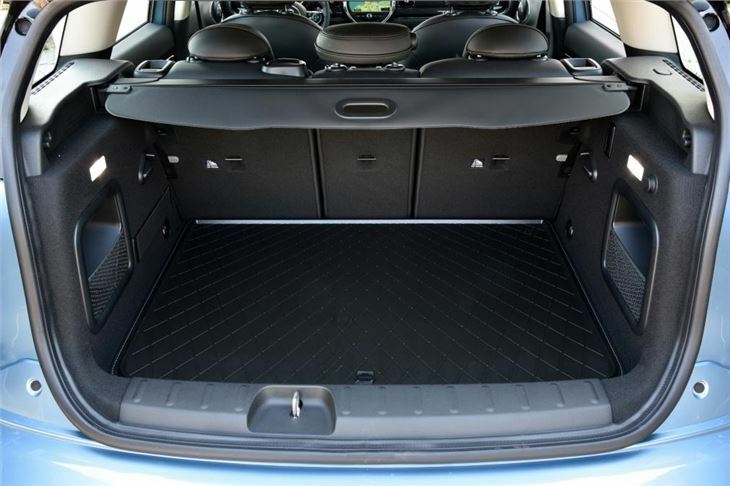 The Clubman’s boot is also furnished with an adjustable floor that makes loading as easy as artisan pie. Back up front, the cabin feels extremely well put together and, more importantly, is a haven of pseudo-British eccentricity. 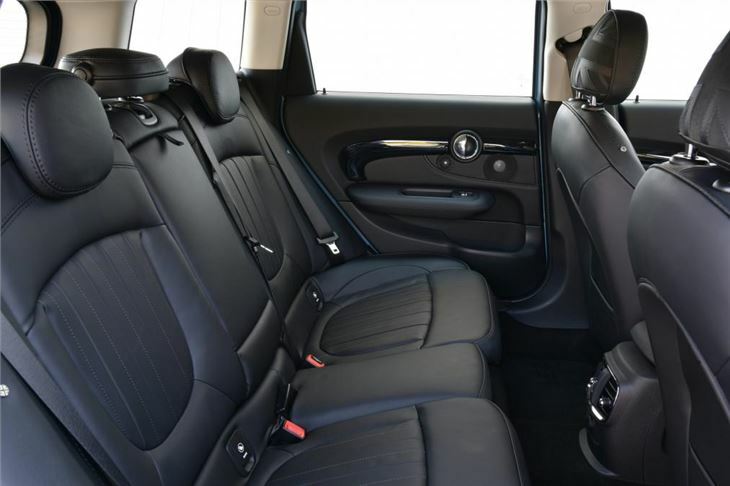 It’s tarted up compared to the standard MINI hatchback, with more chrome, a re-sculpted dashboard and, generally, a sense that it belongs in the Mercedes-Benz A-Class or Audi A3 league rather than the Ford Focus or Vauxhall Astra one. But it’s priced accordingly too, with this range-topping Copper SD diesel version, equipped with an automatic gearbox and four-wheel drive, tipping the fiscal scales at £27,410. Ouch indeed. Again, though, it does feel special, particularly when furnished with options including the Chili Pack that our test car had (colour-changing interior lights, air conditioning, parking sensors, heated front seats, part-leather upholstery), a Head-Up Display (albeit one of those that uses a clumsy additional screen fixed to the dashboard) and a leather interior. As you’ve no doubt already guessed, while these make any MINI Clubman feel suitably plush, they also push the asking price beyond the £30,000 mark, by which point similar money will buy you a family hatchback of notable potency. A Volkswagen Golf GTI costs £29,870, with five doors and an automatic gearbox. 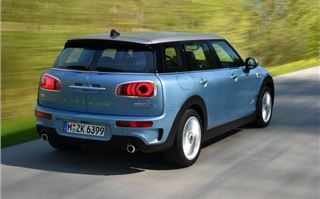 Notable potency is not a quality that the MINI Cooper SD Clubman All4 necessarily has. With 190PS from a 2.0-litre four-cylinder diesel engine, it has 20PS more than the Cooper SD hatchback, which explains why this bigger, heavier car hits 62mph a tenth of a second quicker, at 7.2 seconds. 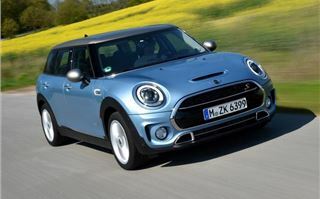 Yet in reality the Clubman Cooper SD All4 feels utterly choked by the weight of its specification and scale. Tipping the scales at a whopping 1540kg, this is heavier than any production MINI before it, Countryman included. Much of that substantial lard is its diesel engine, four-wheel drive system, pair of heavy sprung boot hinges and sheer length. It means that instead of the slingshot slug of mid-range torque you might expect of a range-topping diesel hatchback with 400Nm and an 'SD' badge, you get a more gradual, almost strained push through the gears. It’s not slow, but it feels slightly lumbering. On the plus side, the driving experience of the All4 s very similar to that of a front-wheel drive MINI, which is to say it’s predictable, direct and, well, fun. The All4 set-up actually sends power to the front wheels most of the time, only sending it rearwards when needed. The eight-speed auto gearbox is as snappy as you would expect too, what with its BMW heritage - it rarely (if ever) gets flummoxed into picking the wrong gear and ruining basic driving enjoyment. Question is - do you need All4? The answer is probably not. It’s a well-established fact that given an either/or choice, winter tyres are far more effective companions than four-wheel drive in snowy or rainy weather. 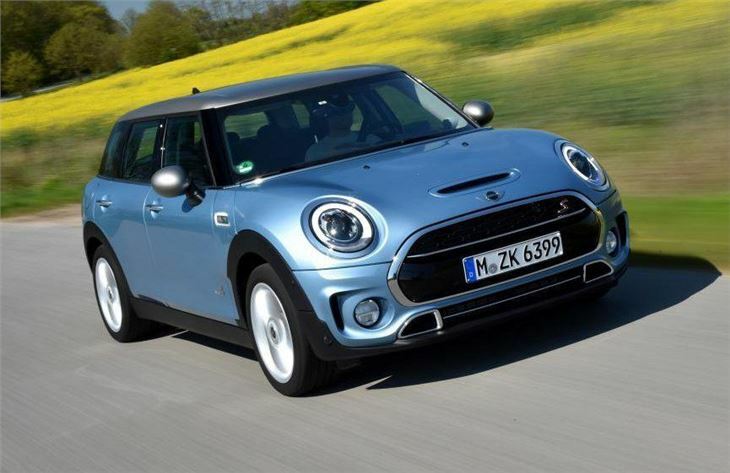 Combine that with the reality that the purer, lighter and more cost-effective setup in any MINI is front-wheel drive, a manual gearbox and a petrol engine. The All4 diesel combo is both inferior and pricier. And finally, to pick All4 is to damage your fuel economy, with 58.9mpg and 126g/km claimed, meaning mid-40s is more likely. That’s the same sort of economy you could expect from running a manual, front-wheel drive Cooper Clubman, with its lovely three-cylinder petrol engine – and, crucially, its £20,000 starting price.